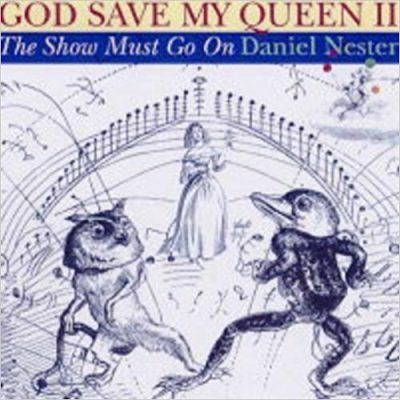 God Save My Queen: The Show Must Go On by Daniel Nester continues the theme from his first book–how his personality and aesthetic was shaped by Freddie Mercury and the British rock band Queen. World famous in the 1970s for such songs as “We Will Rock You,” “We Are The Champions,” “Another One Bites The Dust,” and the mock-opera epic “Bohemian Rhapsody,” the band ended its run in 1991 with the death of its flamboyant lead singer, Freddie Mercury, from AIDS. But it is a source of a deeper and more personal obsession for the author, poet and journalist Daniel Nester. As for the first volume, a short essay, or riff, accompanies, in order of album and track, of Queen’s last five studio albums The “plot points” covered here would be the band’s retreat from the United States — timed almost exactly when the author proclaims Queen his “favorite band” — as well as Queen’s triumphant performance at Live Aid, European tours, and the band’s retreat into secrecy as Freddie Mercury deals with HIV/AIDS, the decline of Mercury’s health and his eventual death. Not quite memoir, neither prose poetry nor rock book, it will, it will nonetheless, rock you. 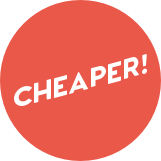 Daniel Nester is the author most recently of Shader: 99 Notes on Car Washes, Making Out in Church, Grief, and Other Unlearnable Subjects (99: The Press 2015). His previous books include How to Be Inappropriate, The History of My World Tonight, God Save My Queen I and II, and The Incredible Sestina Anthology, which he edited. 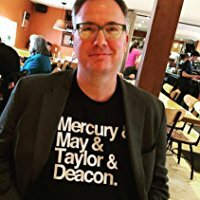 His work has appeared in American Poetry Review, The New York Times, The Millions, The Atlantic online, and anthologized in Best American Poetry, Best Creative Nonfiction, Third Rail: The Poetry of Rock and Roll, and Now Write! Nonfiction. An associate professor of English at The College of Saint Rose in Albany, NY, he lives in Upstate New York with his wife and their two daughters. Find more at danielnester.com.